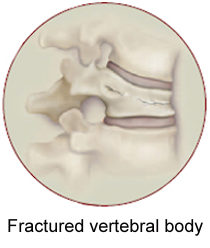 A vertebral compression fracture occurs when the bones making up the spine are broken due to an acute traumatic injury. Depending on the age of the individual, the force required Back Pain Treatment Las Vegasto fracture the spine may be tremendous or end up being quite small. On occasion, elderly individuals or others with health issues such as cancer or severe osteoporosis can suffer a vertebral compression fracture with minimal force. The most common location for this serious injury to take place is in the low back. What are some Common Causes of a Vertebral Compression Fracture? Osteoporosis is a major contributor to vertebral compression fractures. It is a condition that reduces bone density causing the bones to be brittle, weak and susceptible to injury. Individuals suffering from osteoporosis are far more at risk of experiencing a vertebral compression fracture from minimal trauma because of the weakened state of their bones. At a certain point, normal activities of daily living may lead to a fracture, such as just sneezing or picking something light off of a table. Osteoporosis commonly occurs in post-menopausal women, but it can occur in older men as well. Risk factors such as long term steroid medication use with prednisone can increase risk. Trauma is also responsible for vertebral compression fractures. Motor vehicle accidents and falls from tall heights are the most common accidents leading this type of injury. Falls off of a ladder onto the buttocks or a high impact vehicle collision are types of specific incidents common among compression fracture victims. In addition to osteoporosis and trauma, pathologic fractures caused by preexisting diseases and infections can cause vertebral compression fractures. The most common type of pathologic fracture is caused by cancer in the bone that has spread from other areas in the body such as the lungs or prostate. One type of primary bone cancer where fractures are common is with multiple myeloma. 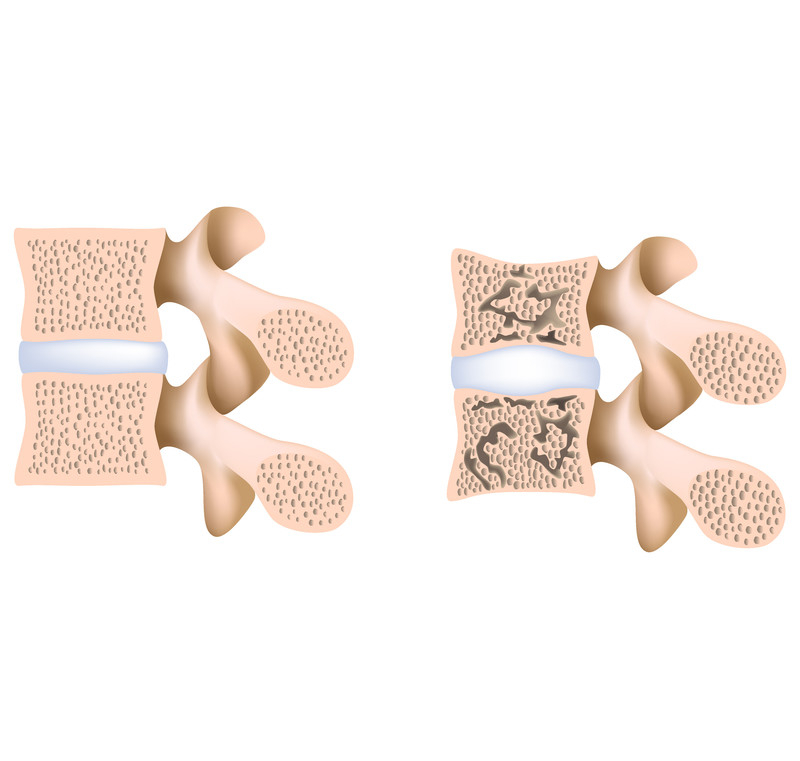 What are the Symptoms of a Vertebral Compression Fracture (VCF)? Pain in the low back is the most common symptom although it may occur in the neck and upper regions of the back. Some individuals experience hip, thigh and abdominal pain. If the fracture is in the thoracic spine, pain may radiate around the rib cage into the front of the torso due to irritation of the costovertebral nerves. Any VCF can cause aching and muscle spasms. Pain and aching may persist for months while the fracture is trying to heal. Over half of VCF’s are silent, meaning the individual has no idea a fracture even occurred. If the spinal fracture is causing significant spinal cord or nerve root compression with muscle weakness, then it is not a vertebral compression fracture. That is a more serious fracture called a Burst fracture and often requires different treatment. While compression fractures are most often due to osteoporosis, there are other underlying reasons at times. Infections or cancer may weaken the bone and cause a fracture. In these cases, individuals may have a low grade fever, pain at rest, night sweats, chills, etc. 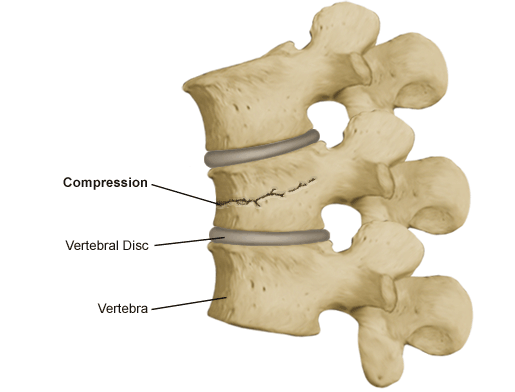 How is a Vertebral Compression Diagnosed? X-rays: Individuals over the age of 65 or people with preexisting medical conditions are more likely to undergo x-rays. People without severe pain, younger than 65 or with no preexisting medical conditions often do not need them. CT scan: Should the doctor discover a fracture, a CT scan may help to see whether or not there are fragments of bone in the spinal canal. If so, it is not a vertebral compression fracture, but a burst fracture (more serious). 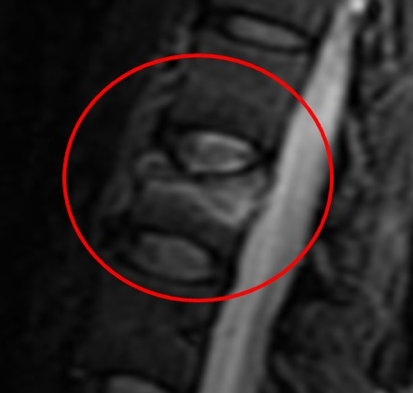 MRI of the spine: an MRI is typically very helpful with a VCF because it can show whether or not the fracture is actively trying to heal. If so, the area will display a high signal intensity due to the extra fluid in the area. This may help guide treatment. Can a Vertebral Compression Fracture be Treated at Home? Self-care is one possible type of treatment, but should not be mistaken for professional medical care if the injury is serious enough to warrant it. Self-care includes rest, pan relief medication and applying ice for 15-20 minutes each hour. Stretching and exercise should also occur when the individual is healthy enough to resume those types of activities. Treatment with a Las Vegas Pain Management Doctor may consist of pain medication, muscle relaxers, and anti-inflammatories. Physical therapy can help, especially with ultrasound and electrical stimulation. 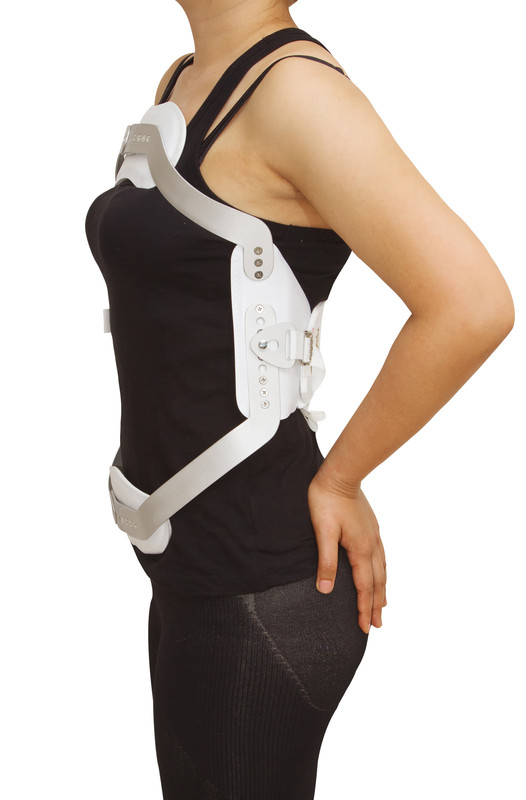 Spinal bracing can help keep the fracture stable and provide pain relief. The options are a TLSO brace or a Jewett brace. If these treatments are not working well, the patient may undergo a vertebroplasty or kyphoplasty. Both procedures involve inserting bone cement into the fracture, which stabilizes the fracture as an internal brace once hardened in 20 minutes. How Can I Prevent a Vertebral Compression Fracture? Individuals that suffer from a vertebral compression fracture are five times more likely to experience another fracture within just one year (Giannotti et al 2013). This shows the importance of preventing the initial fracture. The best prevention includes mitigating the risk of osteoporosis. Individuals on daily steroid medication should discuss methods of combating osteoporosis and reducing their steroid medicine dosage. 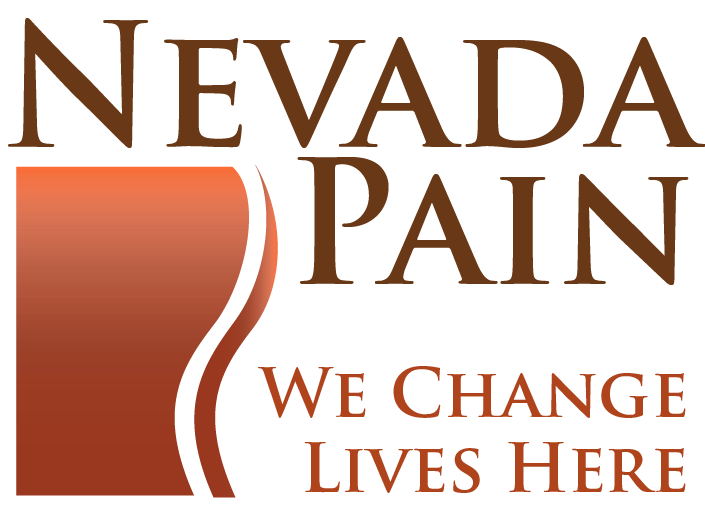 If you or a loved one is having mid-back or low back pain you think may be from a compression fracture, let the Nevada Pain Network help you. The Network offers pain management Las Vegas trusts.